Did You Enter the Latest Subaru Adventure Team Contest? Well, Subaru Adventure Team has tied a bow on our latest contest. You should know, if you don’t, that we’re constantly doing fun contests on Facebook, Instagram and our website. 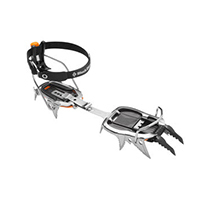 Sometimes these are for very nice outdoor gear items and other times they are for once in a life time experiences. Our most recent contest is of both varieties. We have worked with Chicks Climbing and Skiing for a while now to offer a unique contest once or twice a year to a lucky woman whom we send to one of Chicks’ multi-day clinics. 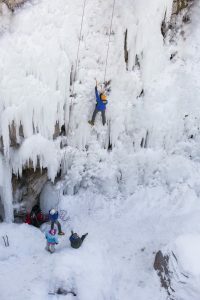 The latest scholarship is sending Kelly Clarke to Ouray, Colorado for a two day ice climbing intensive. 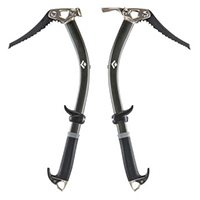 Kelly will also get Black Diamond Viper Ice Tools, Black Diamond crampons and an Osprey climbing pack. 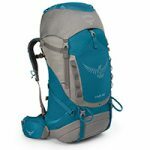 This is just a taste but we usually put together a really nice package of gear for the winners of our Chicks’ contests. If you missed out on this latest contest don’t despair. We’re sending another woman up Mount Baker in late July. Be sure to keep an eye out on our social channels and website for that contest and start collecting your best adventure photos in the mean time! Subaru Adventure Team is an outdoor advocacy program funded by Heuberger Subaru of Colorado Springs, Colorado.